Timesheets overview - iPad – Welcome to the NextMinute support and feedback centre. 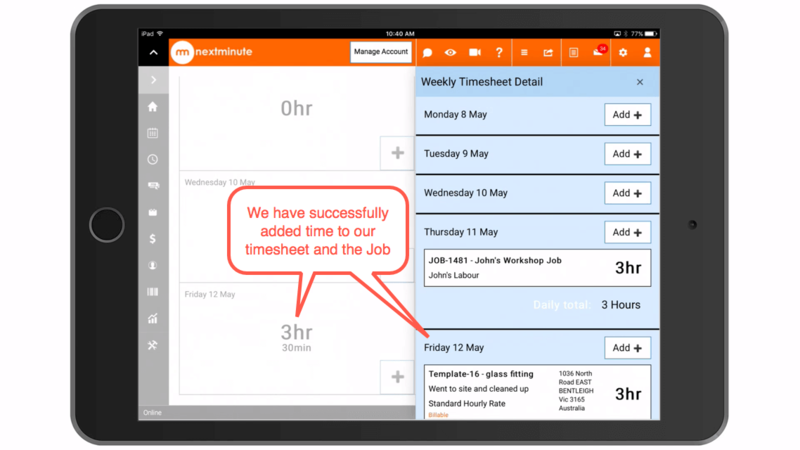 In this article we will take you through adding time to timesheets on an iPad. 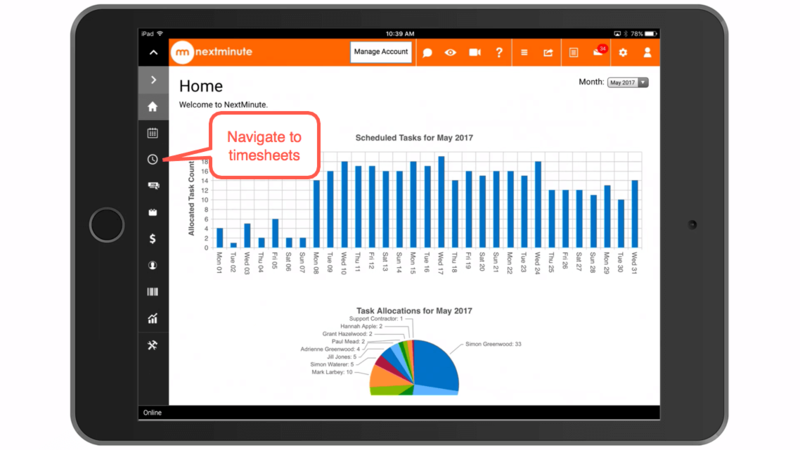 Also see, Timesheets overview and Timersheets overview - Mobile. We have scrolled down to add time to Friday. You can add time to existing Jobs, Tasks and Internal Jobs. Note: If your team don't need to view rates and pricing you can turn this off via Admin > Manage Permissions, see the article Manage User Roles and Permissions. You can add the number of hours via Duration. 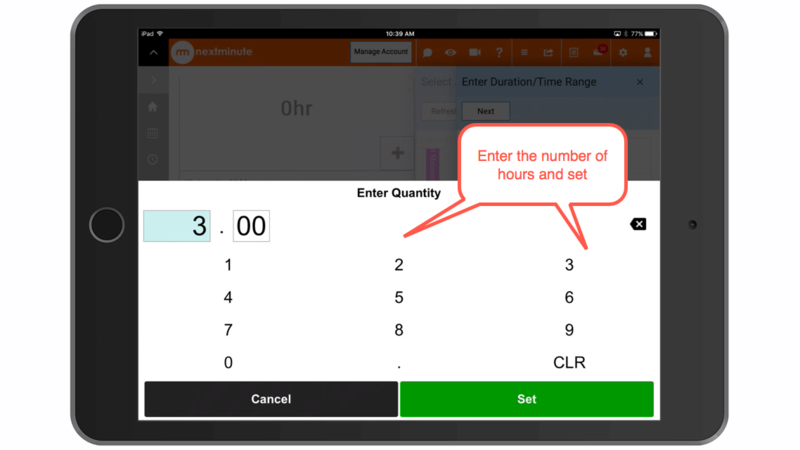 Select total hours, as shown below. Enter the quantity and hit Set. 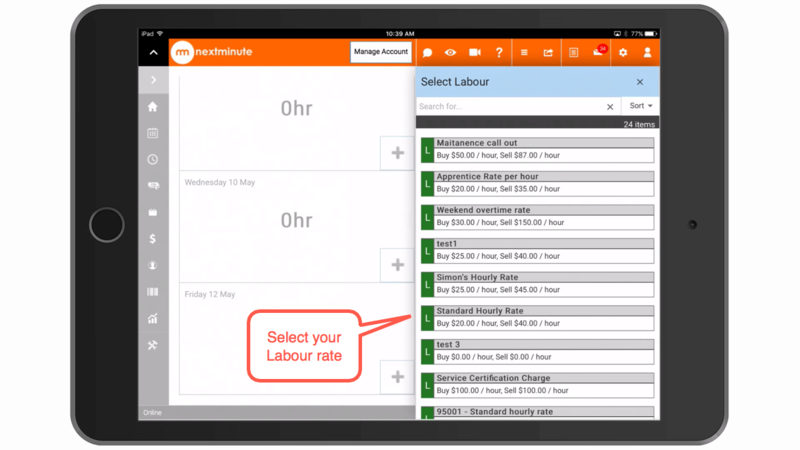 or enter the Time Range so that the exact time is shown on the timesheet and Job/Task. Select the time, it will default to 12:00am. 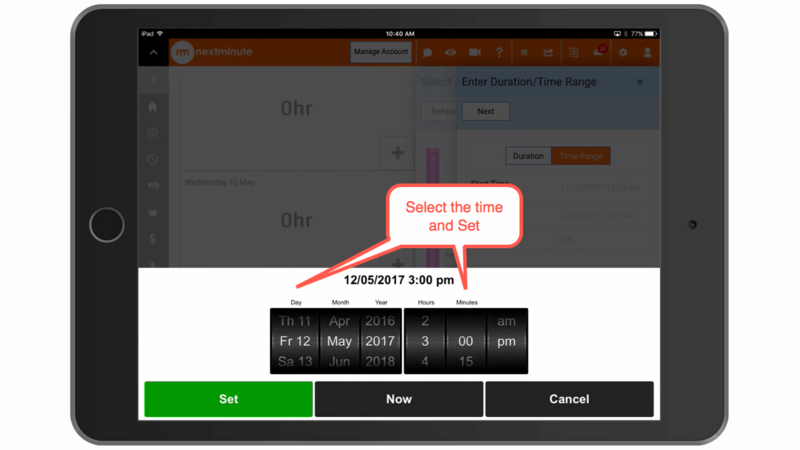 Select the time and Set. 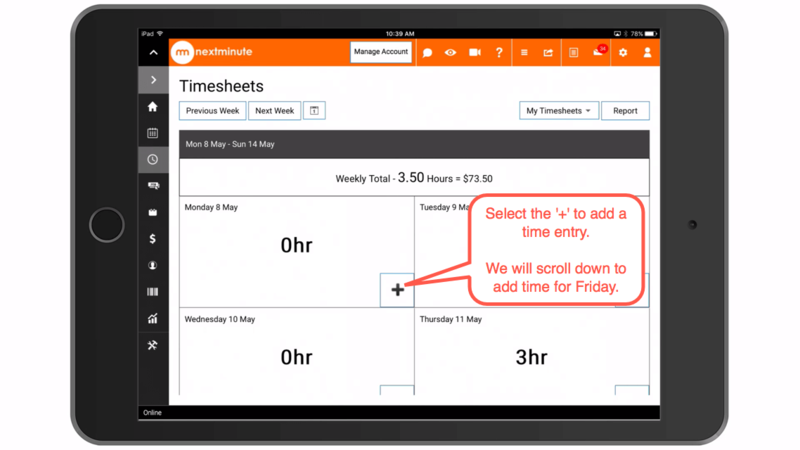 On this page you can change the user that the timesheet is assigned to and tick or untick whether or not the time is billable. 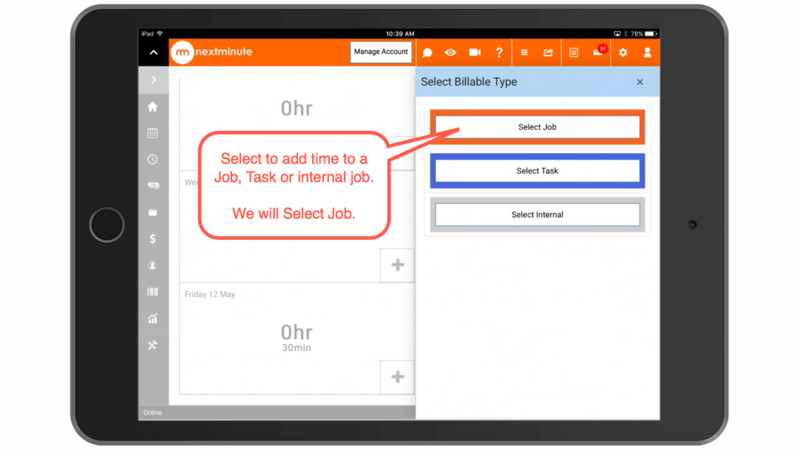 If you need to change the Job, you can do so by selecting the Job and selecting Change Job. 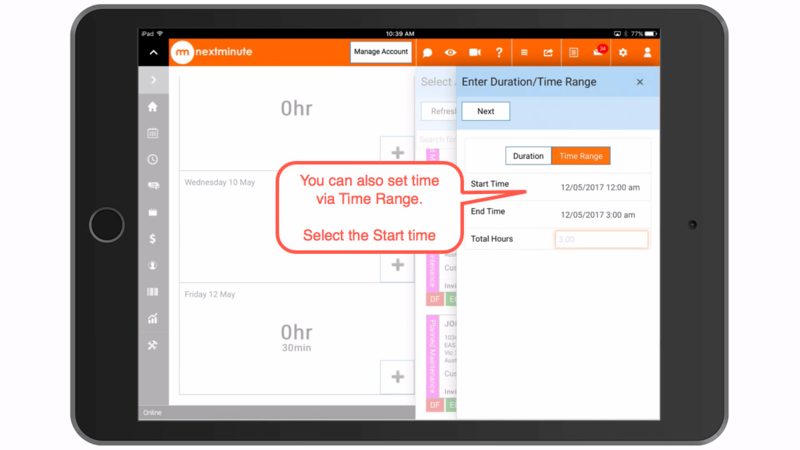 You can also change the time by selecting the hours on the right and amending. Step 9: You have successfully added time to your timesheet. 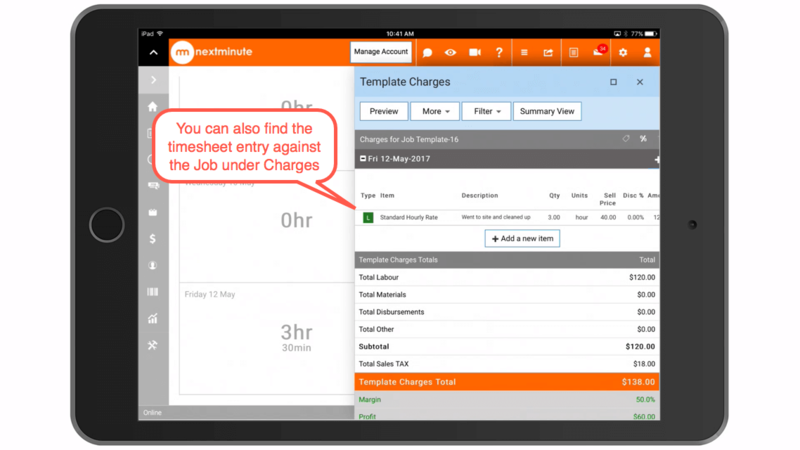 The time we added via Timesheets will also show in the Jobs Charges as shown below.